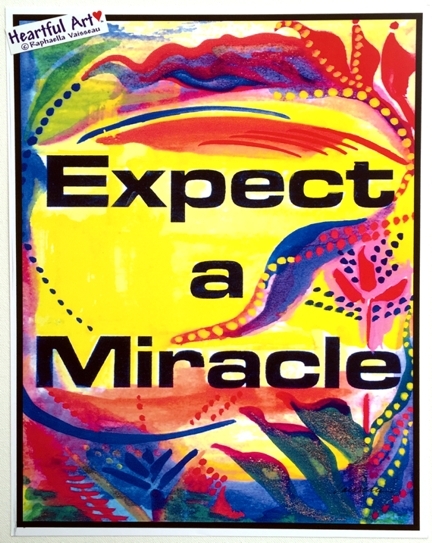 Expect a Miracle, as an 11x14 poster with art by Raphaella Vaisseau. More than a recovery slogan, it is a message of hope for those in need, and a daily affirmation for the eternal optimist, and a prayerful reminder that miracles do occur. Keep the faith. Be an optimist. Expect a miracle.